A few years ago, when DFS was new and players we’re a lot less knowledgeable, Daily Fantasy Baseball strategy was simple and straightforward. There were easy tricks to find players who’s projections were going to outpace their salary. For example, a right-handed hitter facing a left-handed pitcher? Play the man! A hitter moving from 9th in the order to lead-off? Play the man! The game is at Coors Field? Play EVERYONE! Using ideas like these, you could find really quality plays and actually still have them fly pretty under-the-radar. Sadly, present day DFS is not like this. If a player has a lot of things going for him, he’s going to be played a lot. The obvious guys just don’t go unnoticed. So does that make DFS baseball too difficult to beat? Absolutely not, but it does alter our strategy quite a bit. 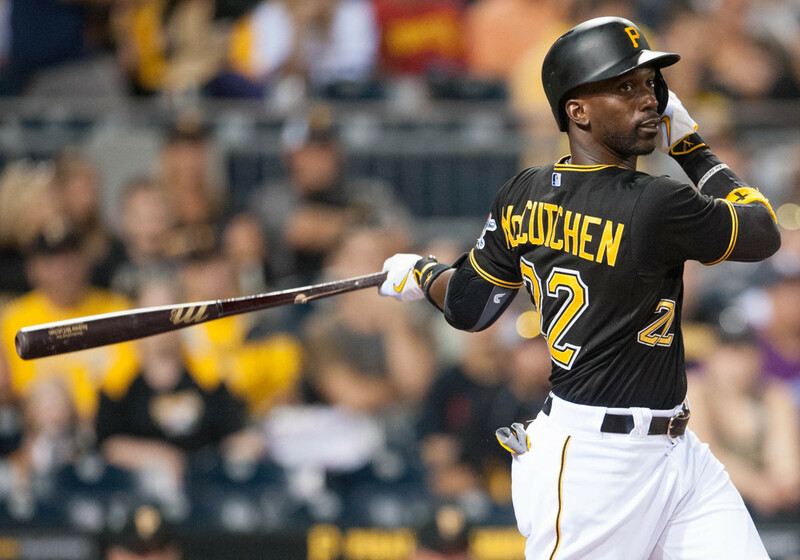 Out of any Daily Fantasy Sport, player performance is the least predictable in DFS baseball. In any situation (and I’m sure you’ve experienced this first hand), a player can go 0-4 or 0-5, and a team with a greatest match up in the world can score 1 run. Because of this, when a player gets high enough ownership, we tend to want to fade that player. That being said, players get high ownership for a reason, at least most of the time. We may feel like Nolan Arenado is going to get 40% ownership one night, but it’s likely because his projection is off the charts going against a lefty at Coors Field. He’s going to have a pretty good game quite a lot. But are there situations where players may get high ownership, but are not that great of a play? It actually happens often, and it happens often when there’s a change at the top of the batting order and a value player is inserted in one of the top 4 spots of the lineup. For example, let’s say young Dodgers lefty Andrew Toles is put in the lead-off spot tonight against a poor pitcher in Zack Godley. At $2,000 and $2,800 on FanDuel and DraftKings respectively, he’d suddenly become, from a projection standpoint, the best point per dollar play of the night. That being said, Andrew Toles is not very good. His projection is raising because he’s likely going to get an extra at bat, which is worth a couple of fantasy points to anyone. But, much more likely than Nolan Arenado at Coors Field, Toles will end up going 0-4, 0-5, or 1-5 a lot, leaving our teams with 0 or 3 fantasy points and no chance at winning the top prize. As much of 20-30% of lineups could be dead from one crappy player doing what he normally does. With the above example, it’s easy to see why fading players like this is a great move in GPPs. One thing you should especially look out for in these situations is pitcher price. Today, for example, the price of the most desirable pitchers is pretty low. There’s not a lot of reason to save money, so value plays will just not be as desirable and not as highly owned. But, take a day like yesterday, where pitcher Jose Fernandez was by far the best play and also $13,400 on DraftKings. On days like this, DFSers will be scrambling for value plays and guys like Toles might get up to 40-50% ownership. These are the days you really want to be looking to fade these guys. One last thing I want to point out is that you can leverage fades like these to make them even more effective. In the same way you want to stack players on the same team because they are correlated, you’re actually best served fading an entire team if you choose to fade one player. In the Toles example, if he has a poor game, it increases the likelihood that the rest of the Dodgers had a poor game as well. So anyone, who used any Dodgers, most likely has a dead lineup. In reality, Toles actually kills more lineups than just the ones with him in it. Anyone who has a Dodger is probably screwed, which is exactly what we want. And if you want to get really bold, Dodgers pitcher Kenta Maeda is probably not going to get the win if the Dodgers don’t score any runs. He may be the most highly owned pitcher tonight, and we could leverage the Dodgers failure to score by fading him as well. In the end, fading the right player–and leveraging fade with other correlated fades–can pay big dividends in GPPs. DFS Baseball strategy isn’t that simple anymore, but if you take the right angles, it can still be very profitable, and a lot more fun.